Sector increases total installed wind power capacity to 7.36 gigawatts in 2018. Turkey invested $650 million to wind energy sector and added 457 megawatts (MW) of installed capacity in 2018, Turkish Wind Energy Association (TUREB) data showed on Tuesday. 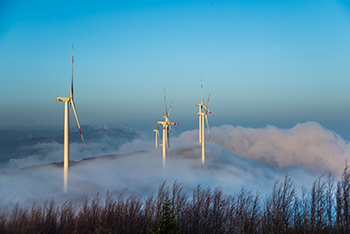 According to Turkish Wind Energy Statistics Report 2019, Turkey’s total installed wind capacity reached to 7,369 megawatts in 2018. Previous PostTri-State and EDP Renewables announce 104 megawatt Crossing Trails Wind FarmNext PostHow do corporate wind power deals benefit local communities?